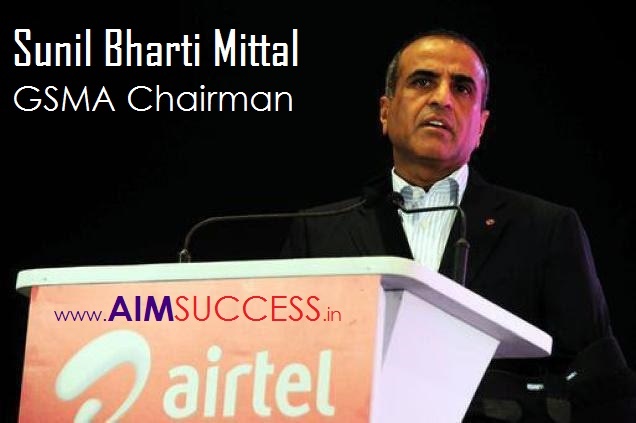 Founder and Chairman of Bharti Enterprises Sunil Mittal has been elected as GSMA (Global System Mobile Association) Chairman for a two-year period from January 2017. GSMA Chairman Jon Fredrik Baksaas will step down from the Board at the end of the year. 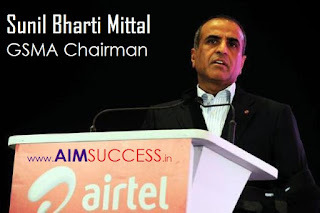 Mittal becomes the first Indian to be elected as GSMA Chairman. GSMA represents nearly 800 of the world’s mobile operators, as well as more than 300 companies in the broader mobile ecosystem. Senior IPS officer of Union territories cadre Karnal Singh (1984-batch) has appointed as the chief of Enforcement Directorate(ED). The Appointments Committee of Cabinet has approved the appointment of Singh as ED till 31 August 2017 (superannuation date). Singh is holding the additional charge of ED chief since August last year. 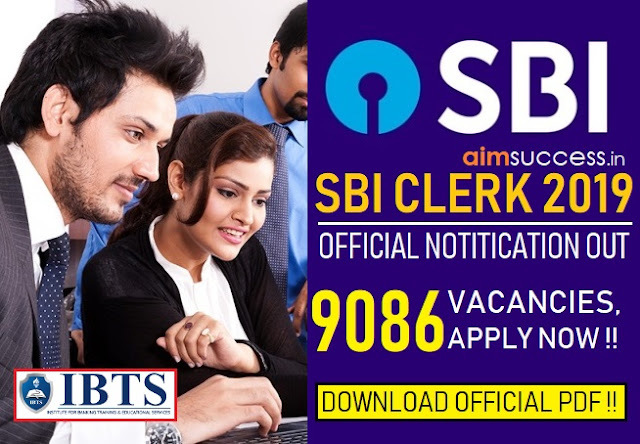 The Directorate General of Economic Enforcement is a law enforcement agency and economic intelligence agency responsible for enforcing economic laws and fighting economic crime in India. It is a part of the Department of Revenue, Ministry of Finance. Additional Secretary (Political) in the Ministry of External Affairs (MEA) Dr. Ajay M. Gondane (Indian Foreign Service-1985 Batch) has been appointed as the next High Commissioner of India to Australia. Dr. Gondane has previously served as High Commissioner to Papua New Guinea and as Deputy Consul General of India in New York. Legendary Kashmiri singer Raj Begum (89-year) has passed away in Srinagar, Jammu & Kashmir. Begum was one of the most recognized female singers and known as “Nightingale of Kashmir” in the Kashmir Valley. She had rendered thousands of songs from Radio Kashmir in Srinagar and in live concerts at other places in India and abroad. The women employees of the Central government will soon be able to file sexual harassment complaints online. Any woman employee of the government can file a complaint directly to the Ministry of Women and Child Development. An inter-ministerial committee will be constituted to review the status of thecomplaints. The forum will ensure that all Internal Complaints Committee heads are imparted training on how to resolve such complaints. Haryana Chief Minister Manohar Lal has announced that 2017 observe as the “Garib Kalyan Varsh”. During this period of Garib Kalyan Varsh, the government would lay emphasis on the welfare of poor people and generate employment opportunities for the youth. Haryana was carved out of Punjab on 1st November 1966 on a linguistic basis. Today, the Judicial committee on One Rank One Pension (OROP) submitted its report to the Defence Minister Shri Manohar Parrikar. Earlier, the Central Government had appointed the committee under the Chairmanship of retired Justice L Narasimha Reddy to look into the anomalies, if any, arising out of the implementation of OROP. The judicial committee had held hearings at around 20 cities/towns across the country and interacted with cross sections of Ex-Servicemen as well as their associations. The committee also received 704 representations from individuals and various Ex-Servicemen associations and had held extensive interactions with all stakeholders before submitting its report. Today, Prime Minister Narendra Modi has interacted with 172 newly-inducted IAS officers in New Delhi. Mr. Modi has addressed the valedictory session of the Assistant Secretaries (IAS-2014 batch). This is the second batch of IAS Officers to have commenced their career with a stint in the Central Government. The officers started working as Assistant Secretaries in 58 Central government departments from August this year after their training at the Lal Bahadur Shastri National Academy of Administration, Mussoorie. They were assigned important desks related to policy and flagship programmes of the concerned ministries and departments during their three-month posting. The International Olympic Committee announced the decisions that nine more athletes were retroactively disqualified from the 2008 Beijing Olympics after failing retests of their doping samples. Athletes whose stored samples came back positive after being retested with improved methods. Four athletes were stripped of silver medals and two of bronze medals in weightlifting, wrestling and women’s steeplechase. Stripped of silver medals were freestyle wrestlers Soslan Tigiev (Uzbekistan), Taimuraz Tigiyev (Kazakhstan), Olha Korobka (Ukraine) and Andrei Rybakov (Belarus). The IOC stripped Beijing bronze medals from steeplechaser Ekaterina Volkova (Russian) and Anastasia Novikova (Belarus). The IOC recorded a total of 98 positive cases in recent resting of samples from Beijingand the 2012 London Olympics. New Zealand defeated India by 19 runs in the fourth Cricket ODI at Ranchi. Chasing a modest target of 261, India were all out for 241 in 48.4 overs. Earlier, the visitors scored 260 for 7 in the stipulated 50 overs.,Martin Guptill was top scorer with 72 runs. The 5-match ODI series is now levelled 2-2.